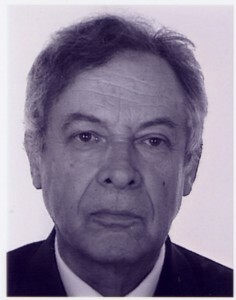 Gérard René Lemaitre was born in Paris in 1943. Presently émeritus professor at LAM, Aix Marseille Université, he received a degree of engineer from the Ecole d’Arts et Métiers, Paris, in 1967, and focused on researches in astronomical optics. In 1974, he earned the degree of Docteur d’Etat es Sciences Physiques at the Université de Provence for his dissertation entitled Astronomical Optics and Elasticity. His research concentrates on optical design and elasticity theory for improving the performances of telescopes and spectrographs by use of a minimum number of optical surfaces. Astronomical instruments often include aspherical surfaces which are difficult to obtain with high accuracy and free from discontinuities (ripple errors). From Bernhard Schmidt idea that an elastic deformation could provide an efficient method for generating aspherics, G. R. Lemaitre elaborated Active Optics and related theoretical boundary conditions which are required for developing these methods. Holder of 13 patents in several countries, he developed active optics to generate axisymmetric aspheric optical surfaces by stress figuring or replication technique – corrector plates, telescope mirrrors, reflective aspherized gratings – as well as methods to generate in-situ varying surface shapes – variable curvature mirrors of ESO/VLTI delay lines – or non-axisymmetric surfaces – toroid diffraction gratings from replication of deformable substrates. He investigated and built new wide-field astronomical telescope and reflective spectrograph designs. Optical design of faint object spectrographs equipped with plane-aspheric gratings or concave toroid gratings obtained by active replications. G. R. Lemaitre was leader of the optical laboratory of the Marseille Observatory – LOOM – from 1975 to 2005, and an international member of many optical design committees for large telescopes and astronomical instruments. His general result on the best figure to be given to mirrors or diffraction gratings of reflective Schmidt systems was retained for the giant segmented telescope LAMOST (Chinese Academy of Sciences) which started operations in Xinglong Observatory in 2008 (http://lamost.us/legue/). He was an member of the international ESE committee of the 39m telescope project E-ELT of European Southern Observatory. The E-ELT started construction in 2014.